MS provides the possibility of private label in selected products. 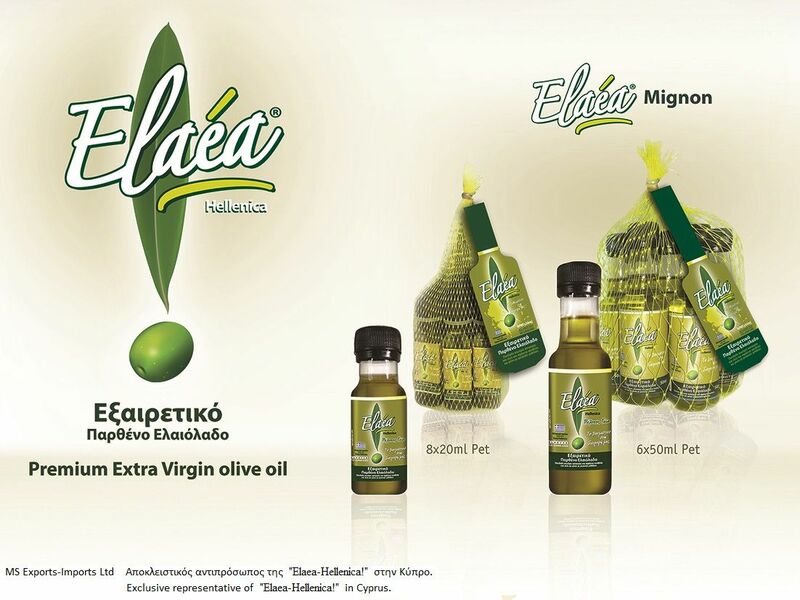 MS Exports-Imports is pleased to announce its new exclusive partnership with the Greek company Elaea Hellenica, bringing its full range of products to the Cypriot market. Elaea Hellenica, having years of experience in the field of olive oil, is a constantly evolving company, creating innovative and useful packaging for the modern people. The laboratory functions according to the highest standards as regards health and food safety ISO 22000: 2005 by TUV Nord Hellas. The variety of olive oil is Koroneiki from the regions of Messinia and Laconia, places of origin for Elaea!